Microsoft's Games With Gold initiative for Xbox One will require that users stay subscribed to play the games much like Sony's PlayStation Plus program. Amid all the commotion regarding the Xbox One's upcoming price cut in June, the announcement that Microsoft's "Games With Gold" program will start for the Xbox One next month might have been overlooked by some. While Xbox division boss Phil Spencer pointed out that Games With Gold is "different" than Sony's PlayStation Plus in the sense that you get to keep the games even if your subscription expires, it seems the Xbox One's "free" games initiative won't be different after all. Starting in June, Xbox One users will be able to download Max: The Curse of Brotherhood and Halo: Spartan Assault for free in what Microsoft calls "Subscription-based access." We're pleased to bring Games with Gold to Xbox Live Gold members on Xbox One in June. Members will have subscription-based access to free games ranging from top hits to breaking indie stars. The program will launch on Xbox One with "Max: The Curse of Brotherhood" and "Halo: Spartan Assault." 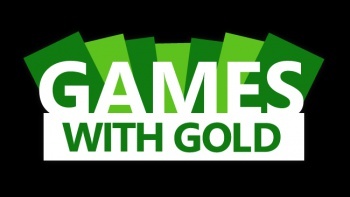 A single Gold membership will get you access to the free games for both Xbox One and Xbox 360. Yep, just like Sony's PlayStation Plus, Games With Gold will require that users be a Xbox Live Gold member if they want to continue playing their "free" games. While some might find the news upsetting, don't forget that Microsoft won't be restricting Netflix, Hulu and other apps behind a paywall. So, at the very least, it's inching closer to Sony's PS+ premium platform. However, do note that unlike PlayStation Plus, free-to-play games on the Xbox One will still require that players be subscribed to Xbox Live Gold -- something the company needs to change soon if it wants to achieve parity with Sony's service. Are you fine with this news or should Microsoft have one-upped Sony by letting gamers keep the games even if their subscription lapses? Hopefully, the games in Games With Gold for Xbox One will be better than Microsoft's previous offerings for the Xbox 360.